Following his graduation from Idrettshøyskole (sports college) in Denmark, hegraduated from the Norwegian State Physiotherapy School and the Physical Therapy Department of Health in Oslo, Norway. In addition he has completed 3 years of postgraduate studies in Mobilization with the Nordic Special Group for Manual Therapy and with the Norwegian Physical Therapy Association. 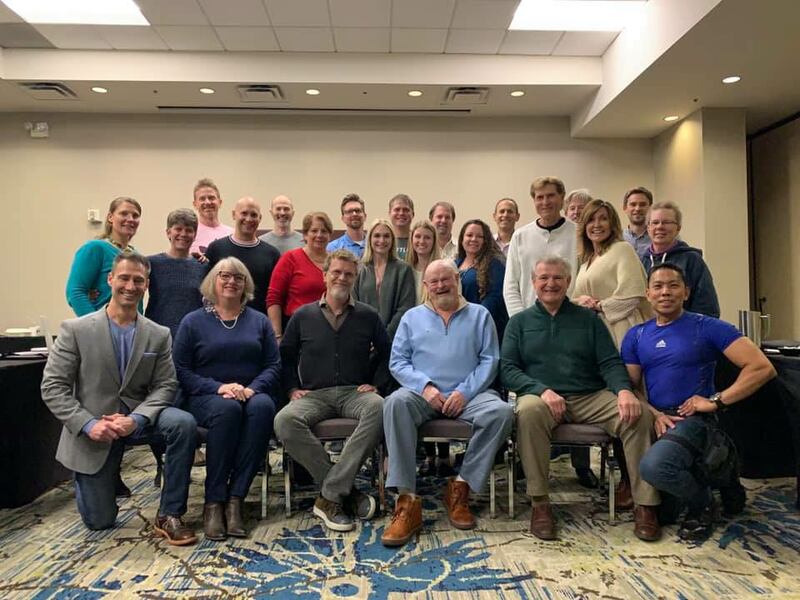 Dr. Grimsby served as chairperson for the Norwegian Physical Therapy Association’s Special Group for Manual Therapy after which he became the chairperson for the Nordic Group of Specialists in Manual Therapy. He was Norway’s first Executive Member if IFOMPT and a Founding Member of the American Academy of Orthopedic Manual Physical Therapy. He also served as a Member of the Board of Editors of the Journal of Orthopedic and Sports Physical Therapy. Dr. Grimsby established degree granting authority for the OGI residency programs offering a Doctor of Manual Therapy Degree as well as a PhD. In 1991 he received a Certificate of Authorization for Service as the Director of a California Postsecondary Educational Institution under CEC Section 94311(a). Ola Grimsby has received numerous national and international awards and he has published books and articles in several languages. 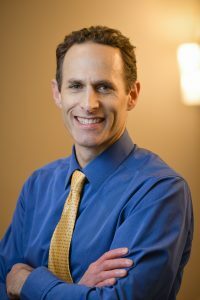 Stuart Eivers is the clinical director of MTI Physical Therapy in The Washington Athletic Club (WAC). Stuart has been in working the field of outpatient orthopaedics since 1992 after undergoing physical therapy himself for a period of time. He received a Master’s in Orthopaedic Manual Therapy in 1997 and a Doctorate of Physical Therapy in 2000. Stuart became a board certified Orthopaedic Clinical Specialist in 2003 and is a Fellow of the American Academy of Manual Physical Therapists. He has been involved with teaching and consulting at the University of Washington’s Physical Therapy program and with the Ola Grimsby Institute. He has been a clinical instructor for over 20 years and is MTI’s Clinical Education Coordinator. As a father of two, Stuart finds the time to enjoy hiking, basketball and bicycling. He has been active in the basketball league and Golf Club at the WAC. Vicki graduated with concurrent Bachelor’s and Master’s Degrees in Physical Therapy from the University of Southern California in 1978. She has worked in a variety of clinical settings over her 30 plus year professional career. Her pursuit of manual therapy excellence began with a certification from the University of St. Augustine; that led her to postgraduate work with the Ola Grimsby Institute, culminating in completion of the Orthopedic Manual Therapy Year III. She is a member of the American Physical Therapy Association and a Fellow of the American Academy of Orthopaedic Manual Physical Therapy. Vicki treats patients full time in Seattle, WA, and is a faculty member for the Ola Grimsby Institute. Alec has been practicing physical therapy for over 25 years and currently works full time in a clinical practice at United Physical Therapy in Anchorage, Alaska. He is the current president of that organization. Working as an athletic trainer prior to PT school, he continues to enjoy working with athletes as his interest in sports rehabilitation continues to evolve. His post-graduate studies included completion of a Master of Orthopedic Manual Therapy in 1997 and a Doctor of Manual Therapy degree in 2000, with a dissertation on the lumbar multifidus, leading to multiple publications. 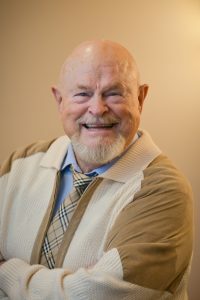 After completion of his DMT, Alec was appointed to the faculty of the Ola Grimsby Institute Post-Professional Consortium and is currently teaching advanced techniques in manual orthopedic physical therapy locally and in other states, as well as presenting as an invited speaker both nationally and internationally. In addition to teaching, Alec shares his expertise working as a clinical mentor for residency, fellowship students in both manual therapy and Family Practice Medicine. Dan has been working in orthopedic physical therapy with a manual therapy emphasis nearly 20 years. He graduated from the University of Missouri-Columbia in 1998 and completed a 4 years of Post-Graduate training including Residency, Fellowship, PhD training program in orthopedic manual therapy from the Ola Grimsby Institute (OGI) in 2003. After Post-Graduate training he completed an additional year of Instructor apprenticeship. He became an instructor for the OGI in 2005 and the lead Residency instructor for Seattle in 2011/2012 and St. Louis from 2013 – present. Dan also completed a 1-year (S.T.E.P) Therapeutic Exercise Residency in 2007. He is an Orthopedic Certified Specialist from the American Board of Physical Therapy Specialists and a Fellow of the American Academy of Orthopedic Manual Physical Therapists. He has authored several chapters in the book series Science, Theory and Clinical Application in Orthopedic Manual Physical Therapy and has taught Manual Therapy seminars both nationally and internationally over the past decade. He is currently on the board of directors, board of examiners and the Residency Director for the OGI. He owns and operates Winghaven Manual Physical Therapy, an outpatient manual therapy clinic and full time teaching clinic for post-graduate Residency and Fellowship students for the OGI.